Bollards come in all shapes and sizes. It’s what makes the protective posts versatile enough to be installed at basically any storefront. But that doesn’t mean every bollard is equal in its protective properties. Height and width matters when it comes to bollard posts. The taller and thicker the bollard, the more likely it is to stop an out-of-control vehicle or individual looking to use the vehicle as a weapon. That’s why it’s important to know exactly what you’re dealing with, in terms of pre-existing bollards, as a business or facility owner. Looks good and protected, right? Well, there’s more than meets the eye. Or should we say, “less”? 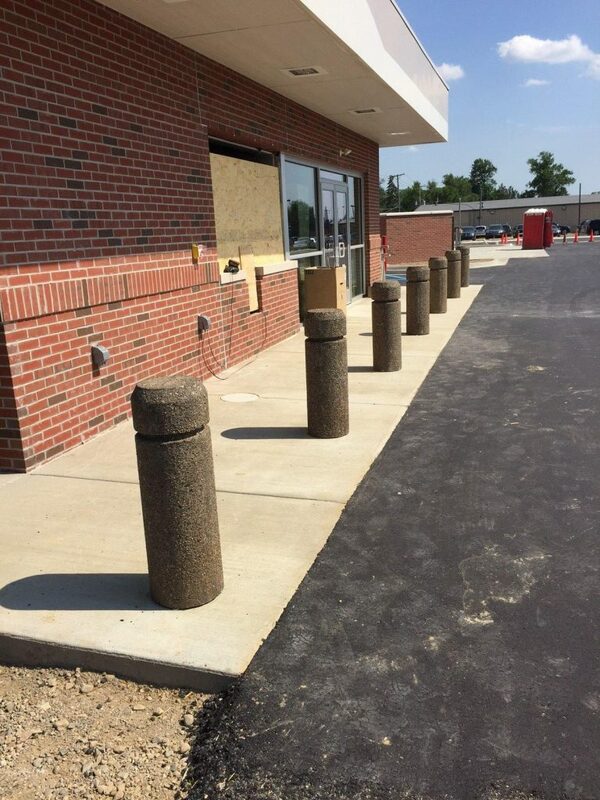 Though the concrete bollard covers look tough and resilient, the only thing truly protecting that business is the 12″ high steel pipe under each cover. And, as we’ve seen with plenty of make-shift bollard posts, those posts aren’t going to hold up very well when a two-ton vehicle crashes into them. 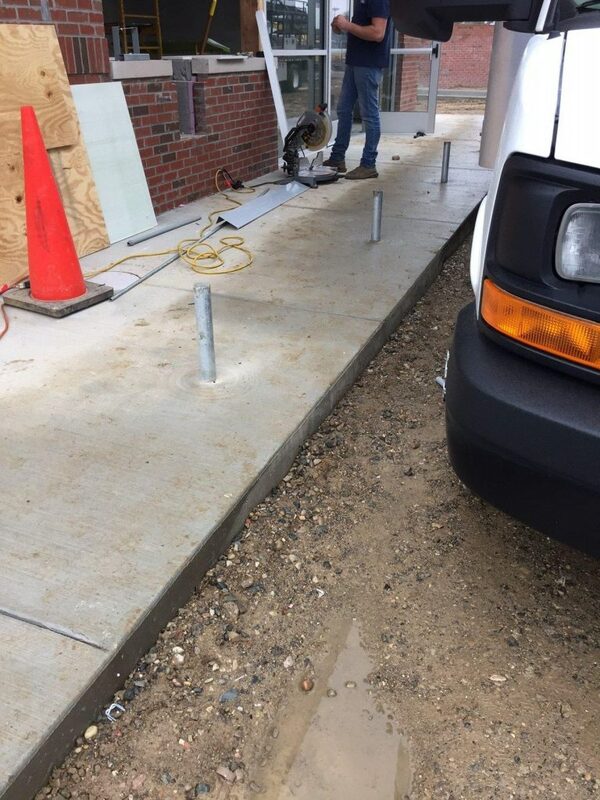 An accident will not only make the business vulnerable but it will also turn that heavy concrete bollard cover into a threat to both the building and pedestrians, inside and out. That’s why it’s important to know what you’re working with and make sure you’re not being bamboozled by your bollards. 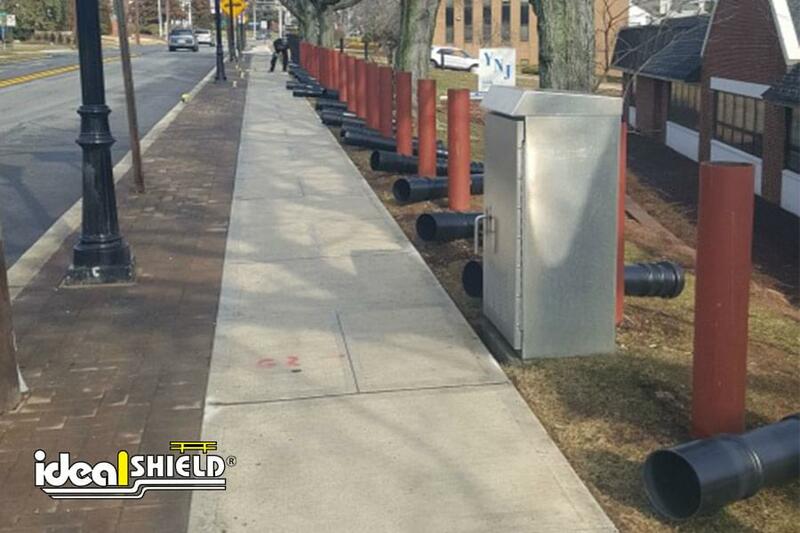 If you’re dealing with hidden mini bollards, like the storefront above, contact Ideal Shield today. Our schedule 40 and schedule 80 steel pipe bollard posts come in several different sizes that will provide a much stronger barrier. 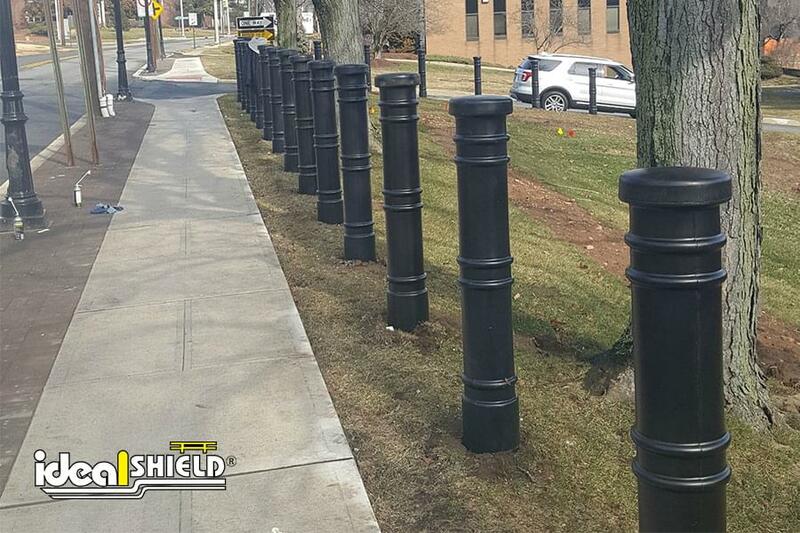 We also have a wide array of plastic bollard covers that come in both standard and decorative options to match your company’s branding and help improve the look of your building.